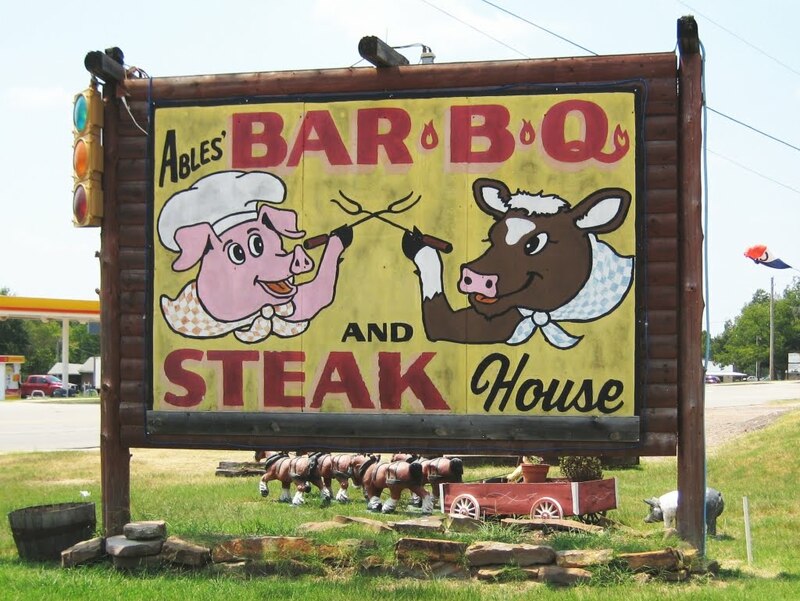 We can hardly believe it either, but it's been three and a half years since we first checked in on the wild world of Barbecue Battling. It started here, with these pigs staring each other down. 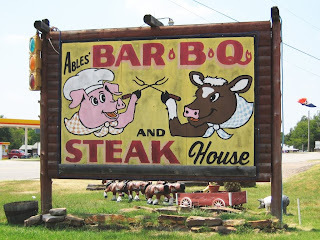 Then we went here, and pigs (and a cow) fighting it out with barbecue implements. Finally, more than a year and a half ago, these fight-happy pigs got in on the act. And now, demonstrating that this is one sport that just won't die (even if its competitors will), these two go at it in Antlers, Oklahoma. It's a pastime we aren't equipped to understand. Modern-day gladiators in kerchiefs vie for the opportunity to die. They thrust and parry, delighting in the infliction of wounds, their own and their rivals'. Then, for the lucky victor, it's death and consumption! Sure, sure, the loser wins the same prize. But don't tell them that. It'll ruin their motivation.